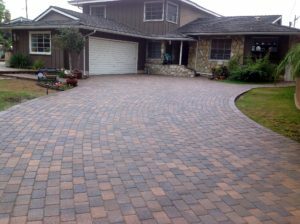 Increase your home’s curb appeal with an environmentally friendly and infinitely beautiful driveway! Driveways blend perfectly with other landscape elements, providing a seamless look, especially when used together with paver walkways or stone steps. There are two types of paver driveways, impervious and permeable. Does your home offer a great first impression? Add curb appeal and interest, while directing foot traffic around delicate flower beds or garden areas with graceful, curving walkways and natural stone steps. Whether you need a simple walkway to serve as a welcoming entrance or want to build winding walkways and paths that lead to your backyard pool or patio. Create your own outdoor living space with a patio! A properly designed patio will extend your indoor living space into the great outdoors. Imagine relaxing around the fire, enjoying a quiet dinner outdoors or doing a little stargazing. These are just some of the memories you’ll create with friends and family on your new patio! Patio and Walkways Can Be Finished With Pavers or Stamped Concrete. 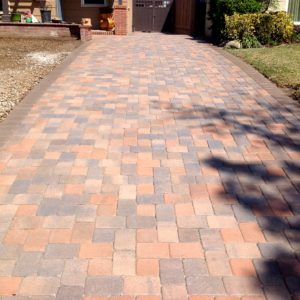 Contact VenCo for patio & driveway pavers in Ventura County. A proper floor for a patio, walkway, or driveway can be aesthetically appealing, add value to a home and make it much easier to maintain the area. You can have these floors are asphalted, concreted or made up of pavers of stone or brick. Concrete driveways or patio floors can be made more attractive if they are stamped and have various patterns and colors. Pavers can be made from stone, brick or even precast concrete. You can get pavers that interlock with each other and give a more homogeneous and stronger surface. Stamped concrete can be made to imitate paving materials, and appear as if they are made of brick, wood, stone or any other surface. You can also create various patterns that can help to give an aesthetic appeal to any landscape. Stamping of concrete is carried out on freshly poured concrete before it has hardened. The design for the stamping can be from rubber or other mats that have the required pattern. These mats or mold formers are pressed into the concrete at a time just before it sets. These mats may have a sprinkling of powder that permits the easy release of these mats so that they are not gripped by the concrete. Stamped concrete can be very economical and kind to a budget, whereas the flexibility it gives in terms of color, designs, and shapes are almost endless. It is customary to apply sealers over stamped concrete as they help to protect the surface from the elements and also help them to resist dirt and dust. Stamped concrete will not have any crevices or joints as will be found in pavers and this makes it easier to maintain and clean. You will therefore not have any problems for the growth of weeds or grass. The surface is easy to clean and responds easily to sweeping and cleaning with water or mopping. It may be necessary to redo the seal coat every few years in order to help in the durability of the surface. Stamped concrete surfaces can, however, crack from heat or a load of heavy vehicles. Repairing can be a problem and look quite ugly and disturb the previously laid out patterns. Pavers are a more expensive solution than stamped concrete, but give a flexibility that is amazing. The laying of pavers does require extensive preparatory work for the foundation and bedding of the pavers and if proper care is taken can make for a floor that is very durable. It is customary to create properly rolled surfaces below any bedding layer that may be required below pavers. This is important if the pavers are being used for driveways that may need to take the load of vehicles. Levels of the foundation must be such that the completed paver surface is well over the surrounding areas so that water will never accumulate on it. Pavers require some borders to prevent them from being displaced. It is customary to have a continuous concrete curb to help to keep the pavers in place. Pavers will have joints between the various units and these must be kept as small as possible. These joints can allow for the growth of grass or weeds. In fact, some landscapers prefer to have exaggerated joints that can be filled with earth or grass to create a natural look to the paved surface. One great advantage with pavers is that in case one of them breaks, it is easy to replace the paver, as long as you are able to get a replacement piece. It is also customary to finish a paver surface with a sprinkling of dry sand so that it fills up all the joints and voids.